Norma Charlene Fallin Allen, of Eatonton, GA, died Thursday, May 24, 2018, at the age of 67 at Legacy Health and Rehabilitation in Greensboro, GA. Born in Zebulon, GA on September 9, 1950, Charlene was one of three children of the late Melvin and Mattie Dawson Fallin. She grew up in Thomaston and graduated from Robert E. Lee High School. She received a degree in Accounting and Data Processing from ABAC, where she met her future husband, Grover Allen. Grover and Charlene were married on June 2, 1973. Charlene was successful in her career, with twenty years of service to First Union Bank in Waycross, GA where she served as President. She was a faithful member of Central Baptist Church and its Choir for many years. Charlene served on the Board of Trustees for Baptist Village for a number of years. The family moved to Macon, Ga. in 1994 where Charlene retired from First Union in 2000. They moved to Eatonton, GA from Macon, GA in 1999. 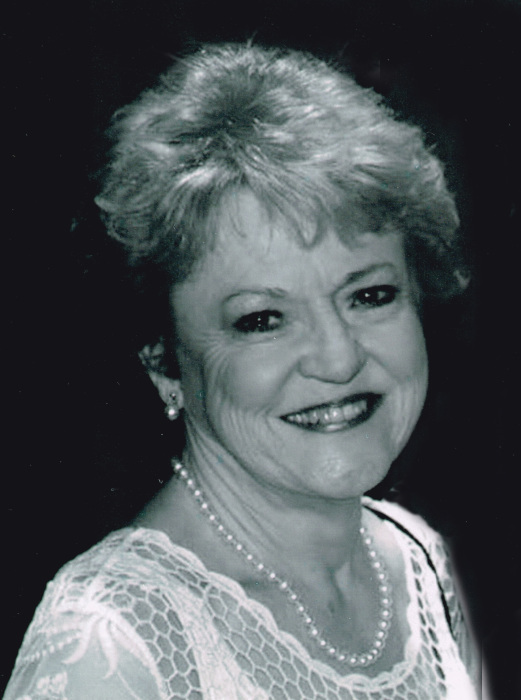 She was a faithful member of Lakeside Church in Greensboro and a longtime treasurer of Habitat for Humanity in Eatonton, GA. Family was most important to her and she enjoyed participating in family activities and gatherings. She also enjoyed being with her friends, traveling, and gardening. In addition to her husband, Grover Allen she is survived by her daughter, Meredith Allen Janka (Nick) of Grand Prairie, TX and son, Brent Allen (Sissy) of Forsyth, GA; two brothers, Melvin Fallin (Phyllis) and Harold Fallin; six grandchildren, Blake Eubanks, Dillon Eubanks, Colson Janka, Carlie Allen, Connor Janka and Campbell Janka; other relatives and many friends. Funeral Services will be held at 3:00 p.m. Sunday, May 27, 2018, at Lakeside Church, 5800 Lake Oconee Pkwy, Greensboro, GA 30642 with Rev. Jay Thompson officiating. Interment will be Tuesday, May 29, 2018 at 11:00 a.m. at Valley Grove Baptist Church Cemetery in Thomaston, GA. The family will receive friends Sunday from 2:00 p.m. to 3:00 p.m. at Lakeside Church. The family requests that any memorials be made to Juvenile Diabetes Research Foundation, 26 Broadway, 14th Floor, New York, NY 10004. McCommons Funeral Home, 109 W. Broad St., Greensboro, GA, (706) 453-2626, is in charge of local arrangements. Visit us at www.mccommonsfuneralhome.com to sign the online guest register.